Whilst not really an overall fan of cosmetic tourism, way too risky in my opinion, when it comes to dentistry, Vietnam can be a great option. The trick is to find a reputable place. In Australia dentistry can be terribly expensive. As an expat living overseas, it can be a good opportunity to make the most of it and get some work done. As I recently noted on the blog I had my 4 wisdom teeth removed and also all of my old mercury fillings replaced as there was decay under them. I have a terrible fear of the dentist. I mean a REALLY bad one. There was a stage in my life when I shamefully admit I went well over 25 years without visiting one. 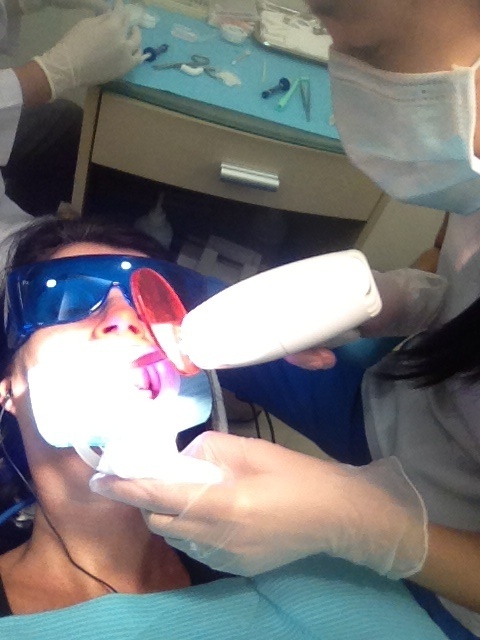 Due to this I decided the way to go for me with the extractions was to use sleep dentistry. A qualified anesthesiologist is brought in to the clinic and I slept whilst the procedure was performed. Apparently it took over two hours but obviously felt to me like 2 minutes. It all went very well and set me back just under $2,000. A lot, I know, but for me well worth it. Now that all of those ugly silver fillings were gone I felt I may as well finish the job and went in last week for teeth whitening. I chose to have the in chair whitening at a cost of just under $300. I was in and out in under an hour. I had had this done about 4 years ago and vaguely remember some discomfort so I took some asprin before hand. There were a few seconds of a "zinging" sensation on about 4 occasions but other than that it was fine. I already had the trays so bought some extra gel so I can top up once a year. They were $20 per tube and one tube is enough for a once a year top up. 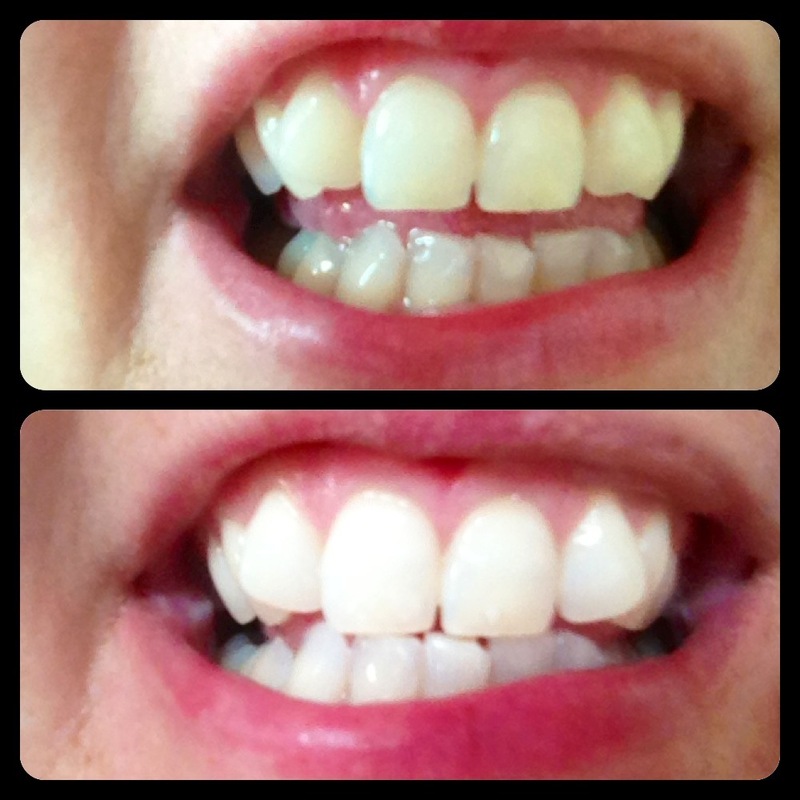 I actually thought that my teeth were pretty white to begin with but when you look at the before and after shots it shows that it really is very effective. We use West Coast on Dong Khoi St. Dr Andrew removed my Wisdom teeth and it was their dental hygienist who did the whitening procedure. We have been using this clinic for 3 and a half years and I have no hesitation in recommending them. They are an international clinic with a wide range of services. So now that I have had all of this done I have no intention of entering a dentist for a few years. Having said that, my fears have abated somewhat and I really do need to set a good example for the children. They are booked in for check ups this week and Christopher will be getting fluoride treatments for his brand new grown up teeth. So if you are living here or even holidaying, check out their webpage. They are happy to make appointments over the web and you could save yourself some money to spend at the markets!